ABOVE: Lovely day at New Italy again with the opening of the new permanent exhibition curated by Leonie Lane and her helpers. Here Leonie is in front of one of the giant photos from 1899 (a blow up of photographer at the time, Joseph Czech's work). 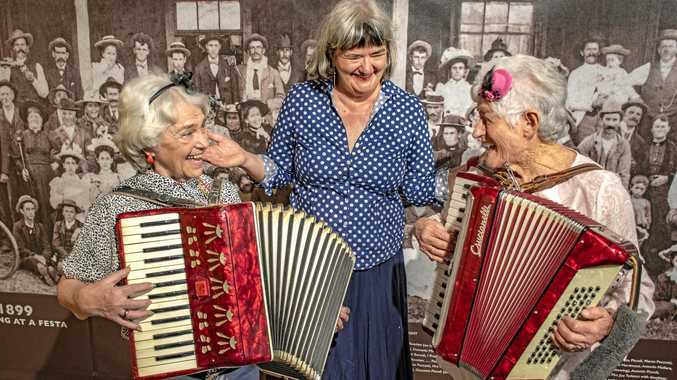 The two accordionists are well known Val Wills and Cynthia. If anyone has any information on the work and studios on the Northern Rivers of Joseph Czeck, please let me know through The Echo.